Bishop “Red Oscar” Romero is Now a Martyr – Thus says fellow Marxist Pope Francis. But, Who Really Murdered Him? 3) The Communist Terrorists who are committing wanton murder, robbery and theft in hopes of creating a Communist dictatorship are really good and the government soldiers who are trying to stop them are evil. 4) Please all you fit, young men, join the terrorists so we can, together, create a communist dictatorship like the ones in Cuba and Nicaragua. 5) Oh yes, God himself really approves of Atheistic Totalitarian Marxism. That he was able to sell the last part to so many of the Catholic peasantry was a testament to his own persuasiveness as many did, at his urging, join the notoriously murderous FMLN – few survived the experience. It was a brutal civil war that that cost the lives of over 30,000 citizens of El Salvador – over 7000 of these were government troops. Yet, as to Romero the Red, some questions still linger. Chiefly, how is it that the gunman was never caught? When Romero was shot, there were over one-hundred people in the church attending mass (if that’s what you want to call it) – some armed. A common occurrence, when a great leader is assassinated – whether he be the Kennedy brothers, Malcom X or MLK, is that those around the slain leader rush, even when unarmed, toward the assassin or at least in the direction of the gun fire. That’s why almost all such assassins are caught and wrestled down, if not beaten by the angry mob. Here, if the theory is to be believed, the “conscience” of this tiny, war-torn nation was cut down by a single gunman, who was relatively close to his target and he just happened to get away clean? The little VW that the alleged gunman fired from, located at the front of the church, drove slowly away and nobody caught it up to it? For more and more, with the issue being revisited through the international media, stemming largely from the late Bishop achieving Sainthood, we are reminded that the official story just doesn’t pass the smell test. In fact, there have never been any conclusive findings raised by the various politically motivated panels and commissions which have “investigated” Romero’s murder – other than, of course, that the whole thing had to have been done by the so called “right wing death squads” which were, in actuality, usually nothing more than aggrieved relatives and former comrades (vigilantes) of those murdered by the FMLN who went out and sought vigilante justice for their murdered loved ones. In fact, these “findings,” when in fact made, have been sketchy at best and have usually consisted of theories as opposed to hard evidentiary conclusions of fact. These superficial theories, masquerading as evidence, have usually been good enough for the left leaning international media and their fellow travelers yet others, the have merely provoked more questions. In response to these questions, the latest, in this long line of unsubstantiated theories, has now been made in response to the years of dogged questions concerning why the gunman has never been identified. This has always been an untidy loose end for the “Right Wingers did it” crowd. Finally, in a half-baked, desperate let’s-throw-it-up-and-see-if-it-sticks spastic fit of creativity, the FMLN and their Communist allies have announced, at long last, the identity of the shooter to put and end to this ever-widening evidentiary hole. That’s right folks! It’s all neatly wrapped up. The show’s over so now let’s everybody go back home. There’s nothing more to see here! The name of this hapless soul, whom the FMLN would have us believe murdered Oscar the Red is, undoubtedly to the shock of his family, one Marino Samayoa Acosta. How do they know? Apparently some people who have, for years, steadfastly maintained a lack of any knowledge concerning the affair have allegedly come forward – some thirty years later. Yes, this and of course, the old, “someone said, who had talked to someone, who knew someone, told me.” The poor fall guy, Mr. Acosta, is of course, conveniently dead and unable to defend himself from the defamation of his otherwise honorable name. He had been a Sergeant in the Salvadorian Army were he was known as a mediocre marksman and an superb drinker of alcoholic beverages which had the effect of always making him appear ten years or more older than his actual age for most of his adult life. He was a man of whom little was expected and hence, upon whom very little responsibility or trust was ever bestowed. Since his name was first floated in 2011, to some chuckles, even more inconvenient truths have emerged for the “Right Wingers did it” group. Chiefly, his rather bloated and stocky built soldier did not fit the description of the actual gunman and further, Mr. Acosta appeared to have a credible alibi for his whereabouts when Comrade Oscar was blown away. Still, don’t expect a correction from the purveyors of the “Acosta, who was a Right Winger, did it,” theory anytime soon. This is their story, after all, and they are sticking to it. Within twenty-four hours of Uncle Oscar’s murder the complete Right Winger’s did it story was disseminated and ran with, no questions asked, by the progressive international media. Most news stories reporting on the incident mention the words “right wing” and “death squads” more than the late Romero’s name. There was never any real effort made to get to the truth of the matter and, as expected, the FMLN were the beneficiaries of a world-wide outpouring of sympathy while their enemies, the government and military would forever be tied to the assassination despite the lack of any hard evidence. And, to those who have been interested in the truth, this fact is exhibit “A” in the case of why the government, Army and Right Wing had, in fact, nothing to do whatsoever, with the Marxist Romero’s death. Even had they secretly desired to see Romero dead -even this is debatable – they were smart enough to know that the entire brunt of the blame would fall upon them causing potentially irreparable harm to their cause – far outweighing any conceivable benefit. In fact, throughout all of El Salvador in March of 1980, there were no entities which had a greater motive in seeing Romero alive and well than the Salvadorian government, the security forces and the Right Wing. The murder of such “an internationally beloved figure” as Romero was made out to be by a fawning international press, would obviously be blamed on the Salvadorian government et. al. and would have renewed and reinvigorated the debate on whether or not the US should be giving any aid to El Salvador – such a debate did, in fact, occur. So, Romero gets martyred. The Salvadorian Government, Army and political conservatives take the blame and the flow of US aid, weapons and supplies becomes suddenly in doubt – unlike the steady flow of same to the FMLN Communist Guerillas from their friends in Cuba and the Soviet Union. But, there’s even more. Yes, Romero had been a big help to the FMLN and in fact, many had described the lefty Bishop as the Communist terrorist’s “respectable face.” However, in doing so, he had become far bigger and far more popular than even they. Romero had become the “face of the struggle” in El Salvador and even if the FMLN were to be successful in overthrowing the government, they would still have to contend with Romero who would likely be a Nelson Mandela like figure and thus a threat to their monopoly on power. By taking out Romero they would make a martyr of him thus causing him, or at least his name, to be still useful to them while not having to have to worry about competing with him. Further, knowing that their opponents would be blamed, they could win a huge boost in support both at home and abroad – possibly tipping the fortunes of war toward them should the US wash their hands of the Salvadorian government over the incident. The later would undoubtedly have happened had President Carter been reelected. 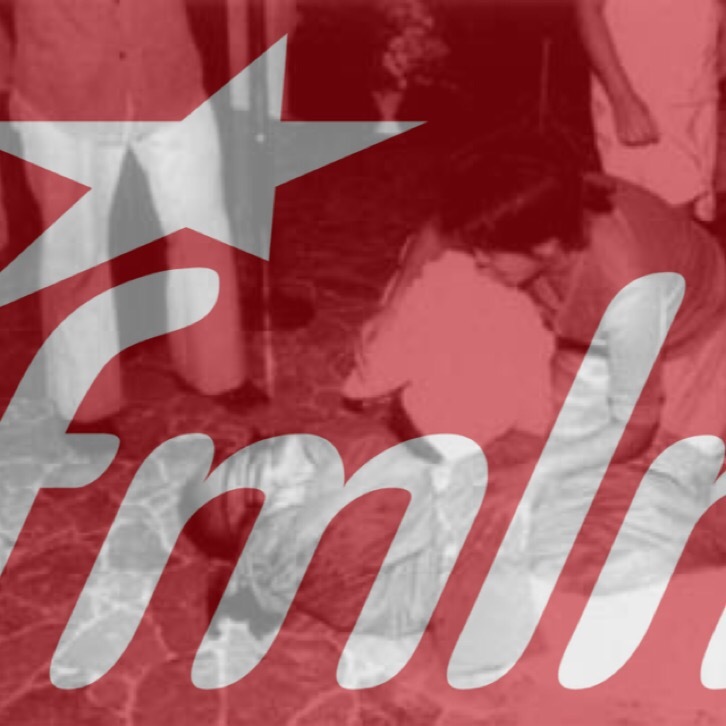 These represent some very compelling motives supporting the theory of the FMLN murdering Romero and in fact, were the likely underlying rational for the FMLN to murder Romero as they almost certainly did do. Sounds crazy you say? Too much like a movie? Well, it is precisely the sort of thing that happens all of the time – especially in the world of the Progressive-Socialist-Marxist Left. The proper term for such an action, where one side stages an ugly attack, for their own benefit, which is made to look like the work of their enemy, is known as a “False Flag Operation.” There is nothing new about these types of operations and they have been used throughout history including by the US CIA. They were also used and taught, with great effect, by the KGB of the former Soviet Union. At the Patrice Lumumba University In Moscow, there were no fraternities and sororities. You would have found no students playing beer pong or adorning themselves with a Roman style toga made from a bed sheet. During the days of the Communist Soviet Union, this school played an integral role in the USSR’s world-wide campaign of espionage as well as Communist revolution and subversion. The school’s alumni directory reads like a who’s who in the history of terrorism. At Lumumba, promising communist revolutionaries from all over the world studied the tools of their trade – bomb making, poisons, murder, terrorism, Psyops, and how to effectively conduct “False Flag Operations!” Oh, guess what? Most of the important FMLN leaders trained at the Patrice Lumumba University! Were all of these factors not enough, one must consider the sloppily and implausible way this likely False Flag assassination was staged. Romero has been portrayed as a fearless man of God who walked freely and without care among his peaceful people – like Christ himself. This was neither true nor would it have been a sane thing for Bishop Romero to do. By March of 1980, Bishop Romero was getting regular death threats. The vocation’s staff at the rectories where he slept were insufficient to ensure his safety. The Salvadorian government actually offered a security detail from their Treasury Police as they, more than anyone, had the biggest stake in ensuring that no harm came to Comrade Oscar. However, the good Bishop Romero refused the back channel offer of protection from the government and, instead, naively placed himself and his life in the hands of his FMLN brethren. This would prove to be a fatal mistake. Yes, when the Bishop went out and about during his last months, he had protection and there was always some, if only a few, armed people – FMLN – near him. On the evening of March 24, 1980, Romero led the Celebration of Mass in a chapel which was part of the hospital La Divina Providencia. The perilous location of the chapel’s main entrance, was directly directly abutting the edge of a road. Not only did his security seem unconcerned with this, they didn’t bother to temporarily block off the road or engage in any form of traffic control or screening. Instead, for some very odd reason, his security actually opened the chapels front two doors as Bishop Romero began the Celebration of Mass. Even more outrageous, not one of the armed FMLN “security” members bothered to secure the front door or even stand outside of it. With the road unchecked and nobody out front, this meant that any would be assassin could simply walk or drive up to the front entrance of the chapel and take out the Bishop. That, unfortunately, is exactly what happened. As Romero was finishing up his homily, filled with the customary Marxist “social justice” rhetoric, a red Volkswagen slowly pulled up and came to a gentle stop squarely in front of the chapel doors. The hundred or so church congregants, with their backs to the door, suspected nothing. Romero’s FMLN security handlers, obviously having to have noticed the car slowly pull up and come to a stop, did nothing – acting wholly unfazed by this monumental breach of the most elementary security protocols. Then, a tall, lanky, bushy-haired occupant of the car, who looked nothing like Marino Samayoa Acosta, slowly stands up. Even more bizarre, without the least hint of nerves or exigency, he slowly and methodically raised a lower caliber rifle to his eye – taking aim at the Bishop who was just finishing his homily. By this time, the rifleman/assassin, who would have been impossible to miss by Romero’s FMLN guard had they tried to stop him, had a rifle pointed at the clergyman and nobody who was supposed to be protecting him attempted to shield Romero or push him out of the gunman’s line of site or for that matter, yell out a warning. In the next instant, as Romero finishes his homily, the assassin calmly squeezes off a round from his rifle a sending Oscar spiraling downward in a bloody, twisting, whirl toward the hereafter. The congregants scream out in horror. Some of the unarmed peasant men instinctively and bravely spring toward to open chapel doors in the direction of the gunman. It is at this point the “security” people yell at everyone to get down. There was never any return fire from the FMLN at this point. The gunman sits back down as casually as he first stood up. Some say they see a smile on his face. All seem in agreement in describing how the red Volkswagen, not seeming to be an in particular hurry, slowly pulled away and drove off. There were no squealing tires or sounds of a racing or quickly accelerating engine, just a car, carefully pulling away like a teenager on his driver’s licensing exam. The major intelligence gathering bodies of the Western World and Israel weren’t fooled for a minute. They saw the whole matter for what it undoubtedly was – a well executed False Flag Operation. The real question is: how could this have fooled anyone? The answer is simple. The left leaning western media wasn’t interested in investigating the matter because it fit perfectly with the narrative they had been aggressively pushing for sometime: El Salvador government and conservatives are evil; Marxists FMLN are the good guys. It also helped that the FMLN and there sympathizers took immediate control of the crime scene and the body. “The Farm” as it is affectionately called or, officially, the Camp Peary Special Training Center, located just outside of Williamsburg, VA is the training academy for CIA field agents – past, present and future. It is at “The Farm” were they say, when False Flag Operations are taught, the primary case study used to illustrate how they are best done, is the assassination of Bishop Oscar Romero. Perhaps Romero’s murder is similarly used today as a teaching example at the People’s Friendship University of Russia – formerly known as the Patrice Lumumba University. « President Jorge Rafael Videla: He Saved His Country from a Brutally Attempted Communist Takeover. Thank you for your informative article on Che. Excellent work. I had some editing comments to make but I don’t know where to send them. DearMr. Hamner: You may send you editing comments here, as you have with this message to me. Thank you for your comments.